CNET’s Download.com is considered to be one of, if not, the most popular download portal(s) hosting a conglomerate of different software (free and paid). We recently discussed the top ten methods of how toolbars, adware, homepage hijackers and other potentially unwanted programs (PUPs) can sneak onto your computer. Potentially unwanted programs are becoming a new epidemic that users must learn face to overcome on a regular basis. In fact, a recent Panda Security study shows that potentially unwanted programs are on the rise resulting in PUPs now comprising 24.77% of total malware infections. A lot of potentially unwanted programs are delivered by installers hosted on download portals such as Download.com. But what kind of programs are frequently bundled and should you look out for? And how many of Download.com’s apps actually contain PUPs? MyPC Backup is a commonly distributed potentially unwanted program that can often be found bundled with a wide variety of freeware applications. 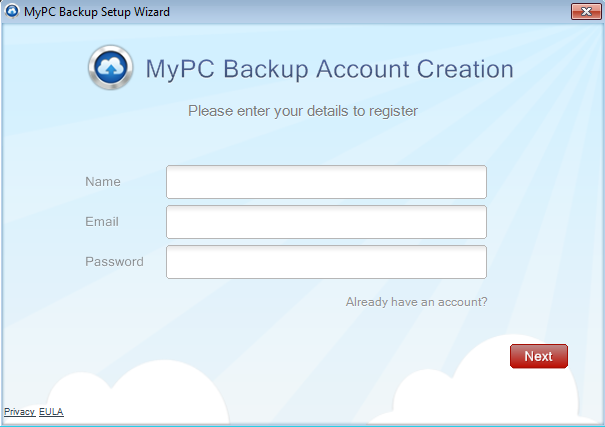 Once installed, MyPC Backup will nag the user to try and coax them into signing up for a “free account”. Afterwards, it will urge the user to back up their files and folders. The con then comes into play stating that you need to purchase the full version in order to perform the backup. Please, never let appearances fool you: if it seems too good to be true, it most likely is. Also, expect to be inundated with pop-ups during your free trial period. Example 2: IObit Products – are IObit products “useful” or “useless”? Most users have more than likely used one or more of IObit’s free software offerings. Some users may wonder how IObit products are considered to be possibly unwanted. Well, IObit’s clever tactics of bundling one or more of their free software offerings within other similar freeware products is considered to be potentially unwanted. An example of this is: Advanced System Care will install IObit Uninstaller, while IObit Driver Booster may offer to install IObit Malware Fighter. 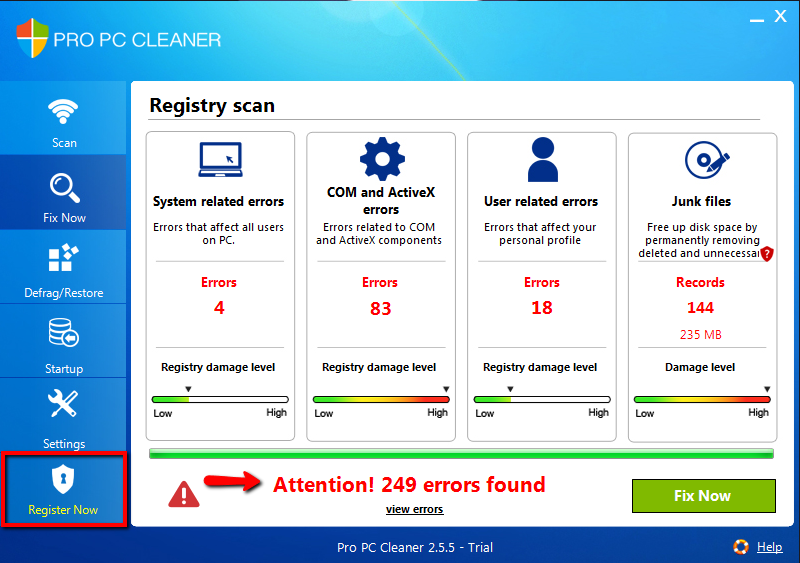 Pro PC Cleaner has made its presence known and tagging along with it are its fake results. 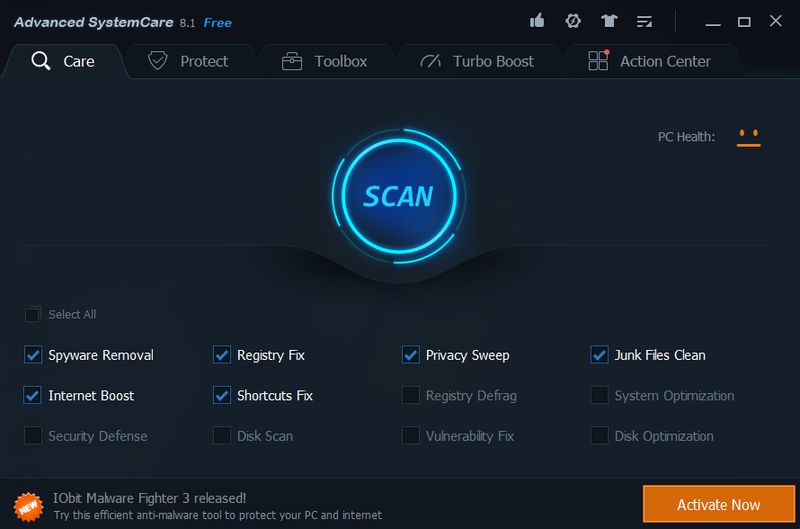 Pro PC Cleaner uses cleverly deceitful tactics and a colorful user interface in order to give the user a false sense of confidence and security. Once installed, this “professional” application will pester the user with a conglomerate of bogus errors and misleading display results. Afterwards, Pro PC Cleaner will “claim” that you need to pay money to register the application in order to repair the found “issues”. This software is a definitely unwanted program. If you find yourself facing this rogue like application, removal is highly recommended or you will continue to be plagued by its annoying presence. Skype is a very popular application. One might ask: how can Skype be considered potentially unwanted? 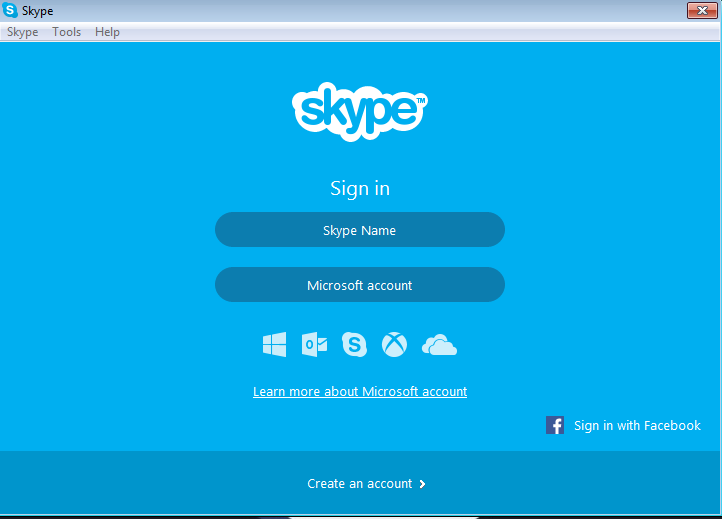 Skype as an independent application is not potentially unwanted at all. However, the situation with Skype is similar to that as mentioned above with IObit products. Skype is bundled with a multitude of freeware installers. If a user happens to accidentally overlook the “I do not accept” or the check box to opt out of installing Skype: it can be considered just as unwanted as Pro PC Cleaner. Last, but not least, Spigot can be considered the most common potentially unwanted offer that is bundled with the vast majority of Download.com freeware. Spigot is rather nasty because it makes a plethora of browser modifications. Spigot modifies a user’s browser homepage, startup page, search engine and tab settings. 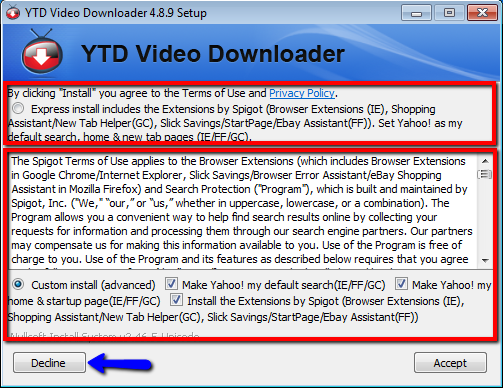 As shown in the image above, Spigot also installs various browser add ons. If a user is not installing cautiously, a massive amount of junkware and unwanted changes could befall their browser(s). An offering such as this is definitely unwanted; however, avoiding it is as easy as clicking to decline. Please use definite caution when facing an installer such as this. Download.com’s Top 50 downloads: what comes with them? To share and download the above research easily, we created a PDF file with our findings. Get it here. Feel free to share! In conclusion: out of the top 50 freeware applications on Download.com, 31 out of 50 are being bundled with potentially unwanted programs. This means that 62% of the freeware applications on Download.com contain potentially unwanted software. Be sure to use this download portal with extreme caution or else you may risk the possibility of facing a potentially unwanted outbreak. Instead of using download portals, go to the direct vendor website and download the desired software from there. Use caution here as well, because direct vendors can bundle PUPs themselves as well but at least it reduces the risk a little. Read over the terms of agreement carefully. Avoid seemingly suspicious software (free and paid). Uncheck boxes during installation since most PUPs use an opt-out approach. Use an antivirus program that comes with PUP detection, such as Emsisoft Anti-Malware. Do periodic scans for malware and PUPs with the free Emsisoft Emergency Kit, which scans and cleans your computer. Download and share a summary of the findings here. Have a great (PUP-free) day!